Pakalert Press » Why Isn’t the United States Releasing Its July 17 Satellite Images of MH17? Why Isn’t the United States Releasing Its July 17 Satellite Images of MH17? 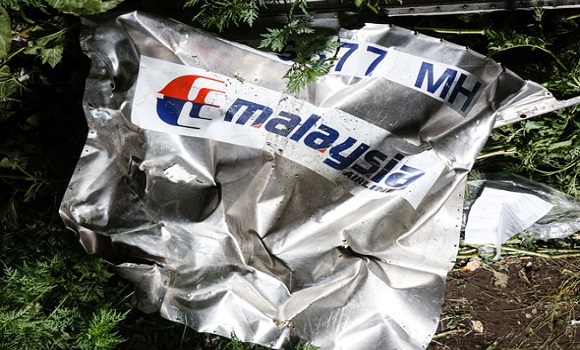 Editor’s note: The following is a letter from a concerned reader who prefers to remain anonymous, but raises some interesting questions about the crash of Malaysia Airlines Flight 17. On the afternoon of July 17, Malaysia Airlines Flight 17, a Boeing 777-2H6ER plane carrying 283 passengers and 15 crew members, was shot down at 33,000 feet over a rebel-held area in eastern Ukraine. Those who downed the plane are war criminals and they must be deported to The Hague and tried. Russia, which signed the Rome Statute of the International Criminal Court, must ratify it. Ukraine, which signed on to the treaty only for this year—must sign on for good. And the United States, which left the treaty (along with Sudan and Israel) and since then has opposed it, must sign it. All three countries must join the community of nations that believes in the rule of law for all and punishment for breaching it, especially in cases of war crimes and crimes against humanity. To solve a crime this horrific, hard data is required. However, thus far, the U.S. and the U.K. have been citing two sources: YouTube and Twitter. Satellite images taken after the crash have reportedly been released, but virtually all media venues have simply republished an image originally posted on Twitter by Geoffrey Pyatt, the U.S. ambassador to Ukraine. Those images, as Twitter would allow, are of very low resolution. More importantly, their earliest date is July 21. All publicly released U.S. satellite information thus far has been of several days after the downing of the plane. Let us also pay attention to the author of the Twitter account—Pyatt. And since he entered the fray via social media, let us recall that it was allegedly he who had discussed a political coup with Assistant Secretary of State Victoria Nuland in a conversation in February entertaining thoughts on how to install American-friendly Arseniy Yatsenyuk as prime minister of Ukraine. Politically, the beating heart of the Russia-U.S. post-Cold War conflict is that the people on both sides making foreign policy are Cold War “warriors” or their direct heirs. They project old views and habits onto new situations. And we see the preparations: The information wars on both sides stirring up hatred had started long before July 17 of this year. The tragedy of the downing of MH17 prompted a widespread assumption about what had happened because it occurred in that environment. And hence, before the investigators could fully examine the site of the crash, sanctions against Russia had been announced and passed—sanctions that the United States had been advocating long before the downing of the plane. Despite making many claims about the cause of the crash, the U.S. has refused to share the hardest evidence of all: the satellite imagery immediately prior, immediately after and, if available, at the moment of the attack and the downing of MH17. Both Russian and American satellites have been surveilling the area of the fighting between the rebels and the Ukrainian military as well as the groups referred to by Ukrainian President Petro Poroshenko as “partisans.” With this deadly proxy war between Russia and the United States, it seems only logical that the U.S. intelligence community had its eyes on the area. If not, the CIA should go on record unequivocally stating that it has no satellite information of the area on the day in question. The case of the MH17 downing resembles another tragic incident, the shooting down of a Korean Air passenger plane west of Sakhalin Island in what was then the Soviet Union on Sept. 1, 1983. What is known is that the South Korean passenger plane’s pilots—during their stopover in Anchorage, Alaska, from New York to Seoul—typed a slightly erroneous route in to their autopilot, which tragically led them into Soviet airspace. At that time, American reconnaissance planes were routinely “tickling” the Soviet radar by getting very close to the U.S.-Russian border between the Aleutian Islands near Alaska and Sakhalin. There were many incidents of such tickling in the history of the Cold War. They were designed to both test and provoke the Soviet Union in order to assess its capabilities. Russian fighter jets scrambled, mistaking the South Korean airliner for an American surveillance plane and shot it down. All 269 passengers aboard were killed. There may have been a similar pattern in the downing of MH17 over Ukraine. Apparently, previous passenger flights were closely followed by Ukrainian fighter planes, potentially tickling and enticing a surface to air missile response by badly trained and possibly drunk pro-Russian rebels. However, it must be stressed that the Buk missile systems, fighter jets and other military hardware made in Russia and in Eastern Ukraine are used by pro-Russian rebels and by the Ukrainian military. It is also highly likely that the expensive and sophisticated component that recognizes the type of plane in the air was either stripped off from the Buk missile system (if proven by direct evidence to have been used) and stolen or simply mishandled. In order to dismiss this potential scenario, America should immediately publish—or publicly deny having—all satellite photos of MH17 in Ukrainian airspace as well as other commercial flights in the preceding days. The Russian Defense Ministry quickly released what it says are radar and satellite shots of the day of the attack, showing Ukrainian fighter jets following MH17 over Ukrainian territory. These were dismissed as propaganda just as quickly, yet nobody claimed that those images were falsified. If they were proven to be fake, one presumes it would have made the papers. The U.S. must present its own satellite data to counter the Russian data, and I hope it takes place in public, on the floor of the General Assembly of the United Nations in New York. And then let the chips fall where they may. It can happen now, if officials have the data. If they never had such satellite data, they must clearly state that fact as well, and stand by it. Victims of the MH17 downing deserve evidence from all parties, not propaganda. We need data. Yet even a superficial survey of the media landscape across American, Ukrainian and Russian outlets makes one thing clear: Everyone is lying. This, in turn, means only one thing: The truth is inconvenient for all parties and does not fit the stories around which the world is realigning today. There are no good guys here, but there is the truth. Why has the United States not released its satellite images of the time of the MH17 crash and, more importantly, moments prior to it? Both the dead and the living deserve the truth.